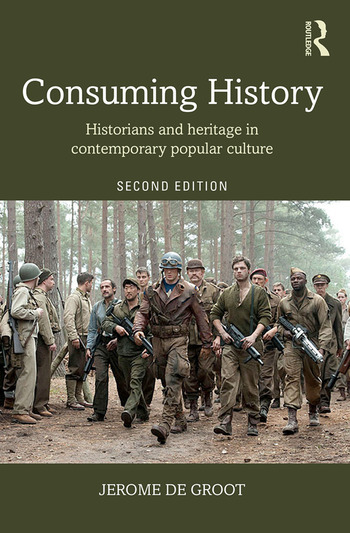 Consuming History examines how history works in contemporary popular culture. Analysing a wide range of cultural entities from computer games to daytime television, it investigates the ways in which society consumes history and how a reading of this consumption can help us understand popular culture and issues of representation. In this second edition, Jerome de Groot probes how museums have responded to the heritage debate and how new technologies from online game-playing to internet genealogy have brought about a shift in access to history, discussing the often conflicted relationship between ‘public’ and academic history and raising important questions about the theory and practice of history as a discipline. Fully revised throughout with up-to-date examples from sources such as Wolf Hall, Game of Thrones and 12 Years a Slave, this edition also includes new sections on the historical novel, gaming, social media and genealogy. It considers new, ground-breaking texts and media such as YouTube in addition to entities and practices, such as re-enactment, that have been underrepresented in historical discussion thus far. Engaging with a broad spectrum of source material and comparing the experiences of the UK, the USA, France and Germany as well as exploring more global trends, Consuming History offers an essential path through the debates for readers interested in history, cultural studies and the media. List of figures. Acknowledgements. Preface to the Second Edition. Introduction. Part 1: The Popular Historian 1. The public historian, the historian in public. 2. Popular history in print. 3. The historian in popular culture. Part 2: Digital History 4. Genealogy and family history. 5. History online. Part 3: Performing and playing history. 6. Historical re-enactment. 7. Performing pastness, recycling culture and cultural re-enactment. 8. History games. Part 4: History on Television. 9. Contemporary historical documentary. 10. Reality, professional reality, celebrity and object history. 11. History on television around the world. Part 5: The ‘historical’ as cultural genre. 12. Historical television: Adaptation, original drama, comedy and time-travel. 13. Historical Film 14. Imagined histories: Novels, plays and comics. Part 6: Material Histories. 15. The everyday historical: local history, antiques, metal detecting. 16. Museums, tourism, gift shops and the historical experience. Conclusions. Index. Jerome de Groot teaches at the University of Manchester. He is the author of Remaking History (2015), The Historical Novel (2009), Royalist Identities (2004), and numerous articles on popular history, manuscript culture and the English civil war. "De Groot provides all students and practitioners of history with a fascinating overview of the diverse ways in which history is used by societies, and a nuanced understanding of both the rewards and challenges involved with representing the past to the public… The author’s intellectual engagement with these topics is untouched by other publications." "This is the only book that seriously addresses the relationship between history and popular culture in Britain today, and does so in an engaging, thoughtful and accessible way… the range of coverage in Consuming History is excellent." "This empirically rich, well-documented book surveys an impressively wide range of topics that the author divides into six often overlapping categories. De Groot (Univ. of Manchester, UK) concentrates heavily on the British experience and, in this second edition of a book first published in 2009, offers new topics, updated examples, and revised analyses. Summing Up: Recommended. Upper-division undergraduates and above."